Last week we spent four days in Disney World. We did practically everything there that could be done. We didn’t go for any of that “go back to the room for a nap” stuff. Nope, we tackled those parks and stayed until we shut the place down every single night. I mean, when you’re paying that much money, you don’t want to waste any time napping, right? Three year old Emerald was enamored with it all. On the first day we were there, we had a breakfast with all of the princesses, and of course she wore her Cinderella dress just so that she would fit in with the royalty. But, she noticed something about her time in the parks. 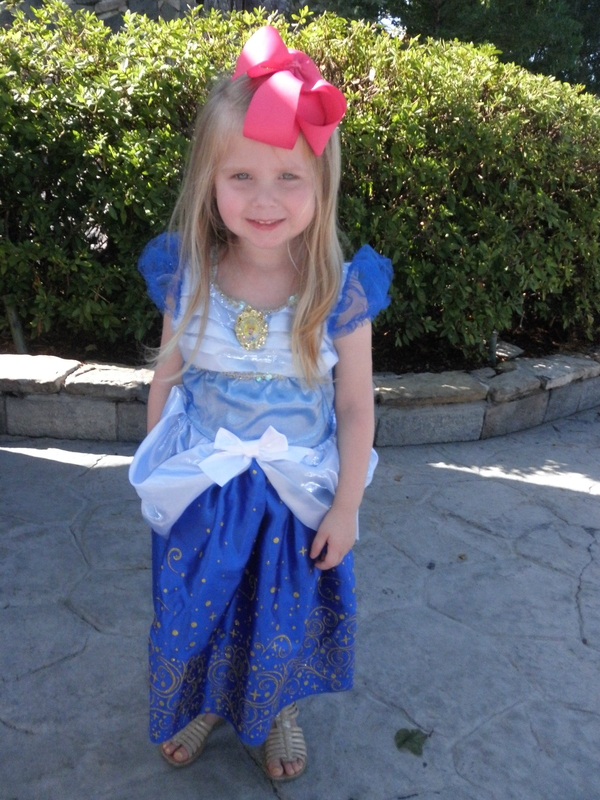 The entire trip, not just when she was dressed as Cinderella, every employee of the park called her “Princess.” They are obviously well trained to call all little girls Princess, but little Emerald didn’t know that. Chad and I looked at each other and burst into laughter. She wasn’t at all confused by the fact that they had possibly mistaken her for a princess. Instead she felt she had finally found a place where they recognized who she really is. I mean, at Disney, they KNOW she’s a princess. It’s like the rest of the world is missing it. I’ve probably looked at our vacation pictures a hundred times since we got home. I love thinking back on all of the sweet and hilarious and wild moments that we had together on the trip. And, with every picture of Emerald that I come across, her words keep coming back to me. They know I’m a princess. Because according to the Bible, all of us who believe in Jesus and have trusted Him for our salvation truly are royalty. And, I’m not talking about the pretend kind. I’m talking about joint heirs with the Son of God, who is reigning on His throne as I type this. I’m talking about sons and daughters of the King of all Creation, of the Lord of the Universe, of the Great I Am. The absolute truth is that you and I, dear Christians, are princes and princesses. But, we go out into this world, and it’s nothing like Disney. No one recognizes that we are royalty. The world doesn’t know who we are, not really. And sometimes we are tempted to believe what it tells us about ourselves. That we aren’t attractive enough. That we need more money. That we have to work ourselves to death to prove how “good” we are. That we’re out of touch. That we are beyond saving. Remember the truth. Remember that we are kept firmly in the hand of a good God. That we aren’t just toys that He likes to mess with or experiments that He is trying out. We are His own sons and daughters. We are the heirs to His vast all-encompassing kingdom. It’s true, whether the world recognizes it or not. Emerald has had a pretty tough time readjusting to real life since her Disney experience. I don’t think anyone has called her Princess since we left the park. She must be feeling very misunderstood at the moment. But, one day, she will realize the weight of her own words. I pray that in a few years she will figure out just who she really is in Christ: a bonafide princess. Something tells me she won’t be too hard to convince.